Starting today, you can bring two new Renegade titles home! 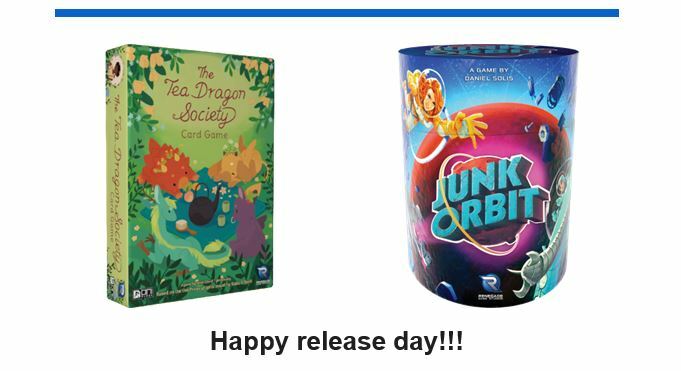 The Tea Dragon Society Card Game has its full release today, while Junk Orbit is available exclusively on local game store shelves until July 11. Make sure to stop by your local store! They have promos available in limited quantity with purchase of Junk Orbit. Don't miss out!